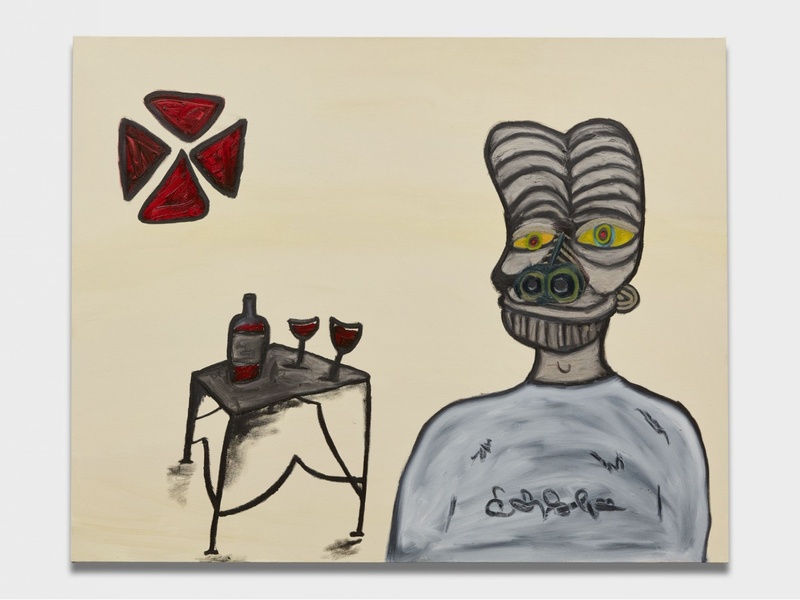 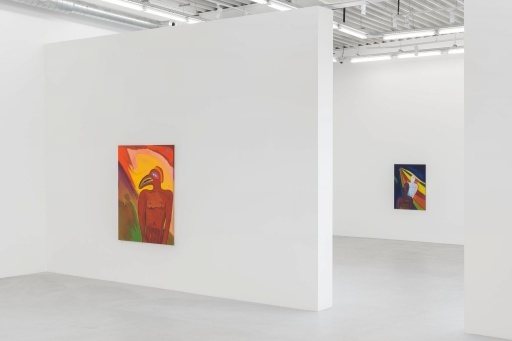 Almine Rech Gallery is pleased to present the first exhibition by Marcus Jahmal with the gallery in Brussels. 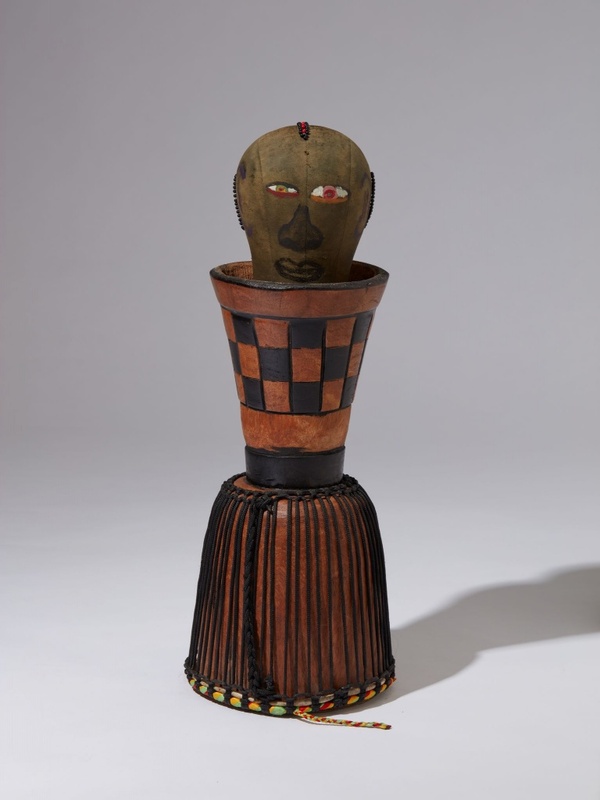 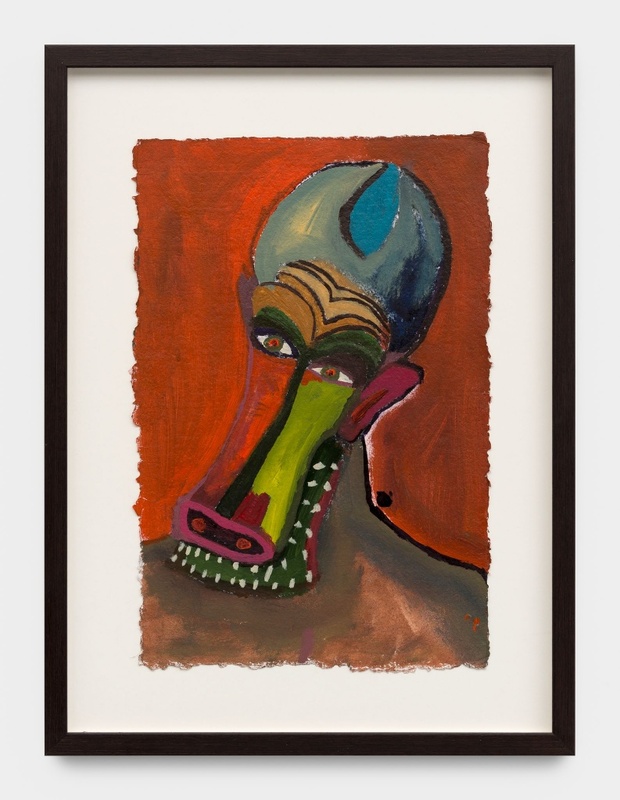 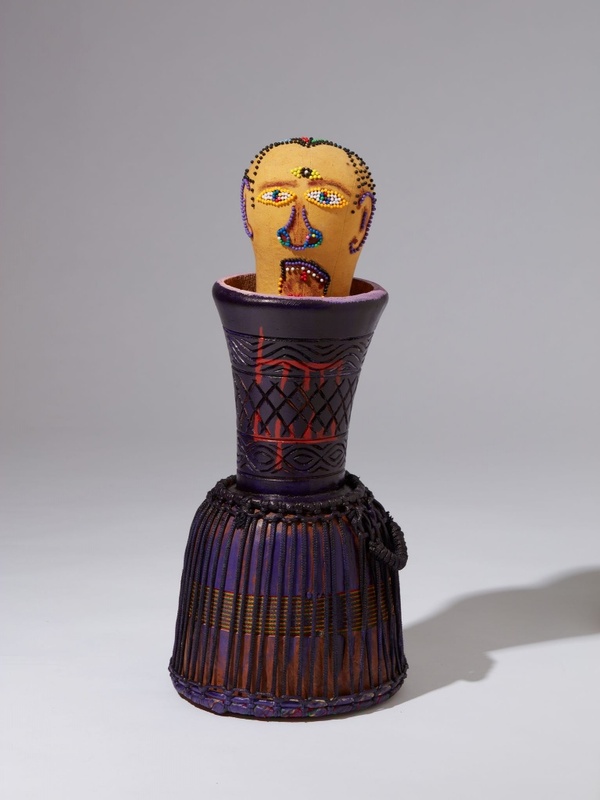 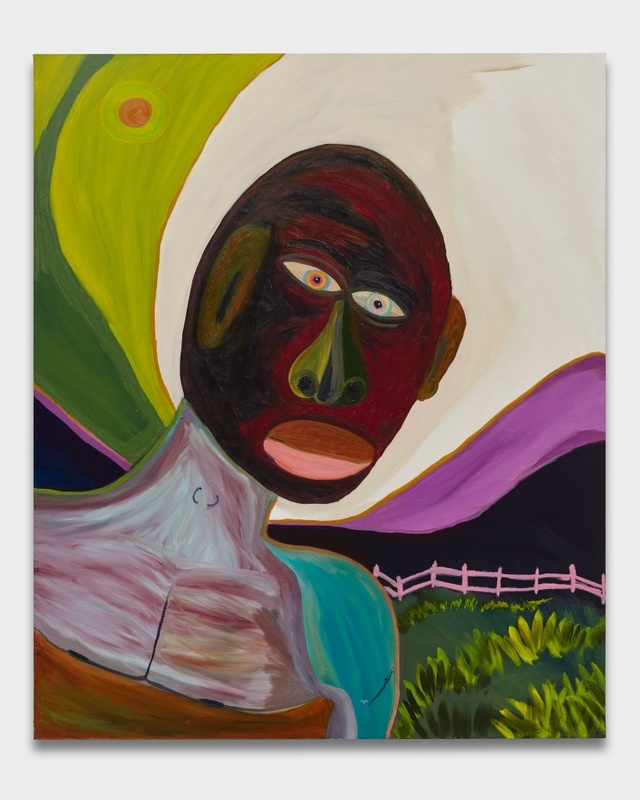 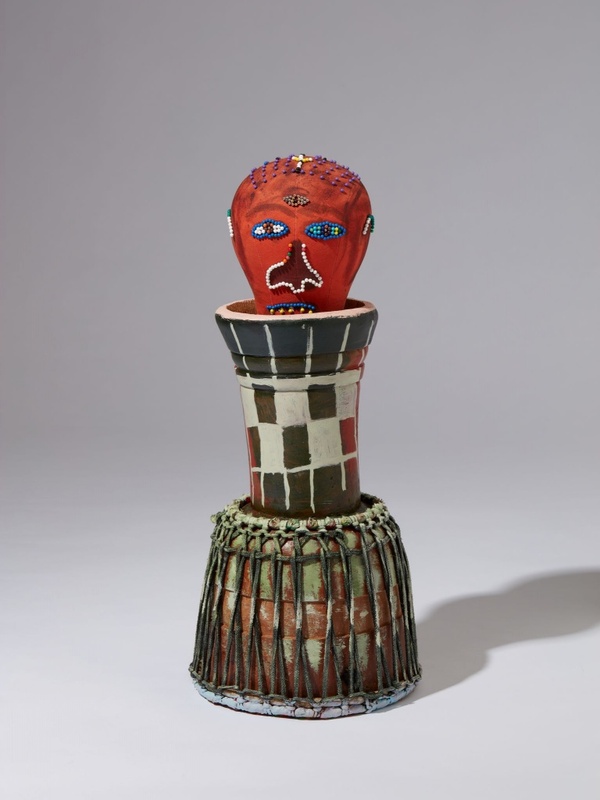 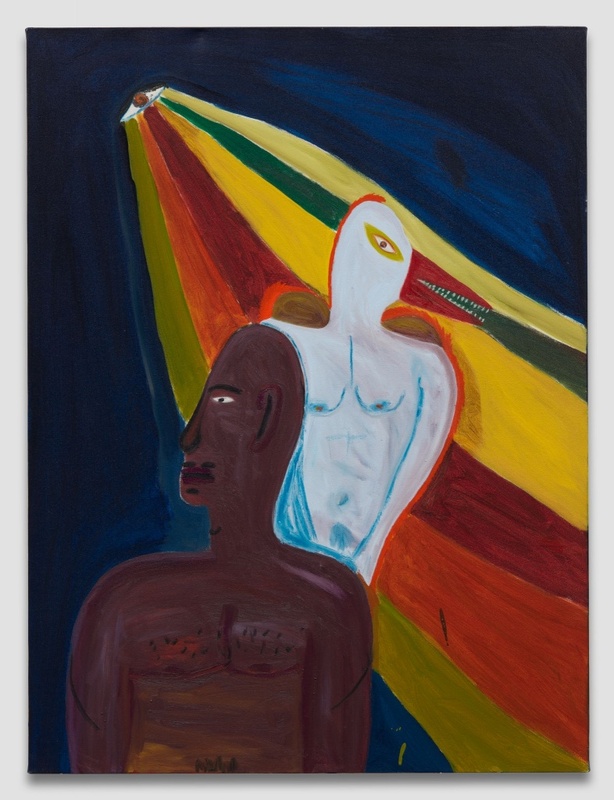 Marcus Jahmal’s story is radically contemporary and yet he creates ties with the founding principles of modern art by taking his own transversal path. 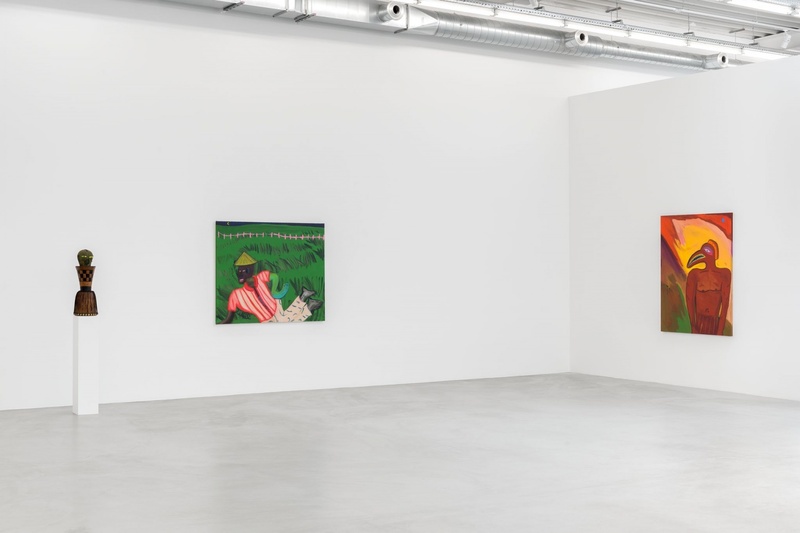 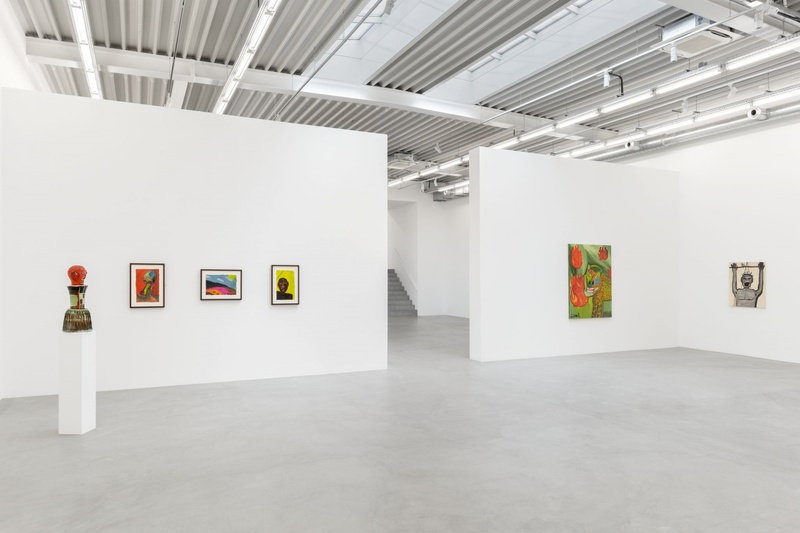 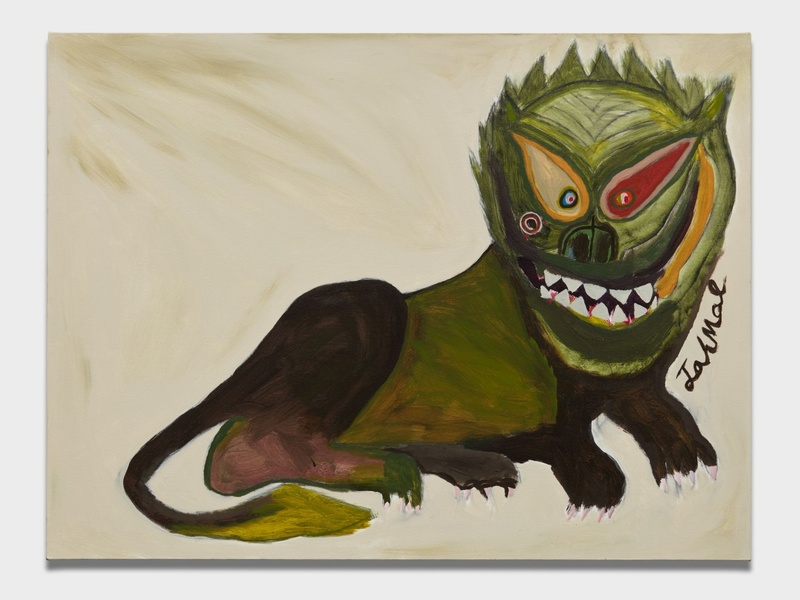 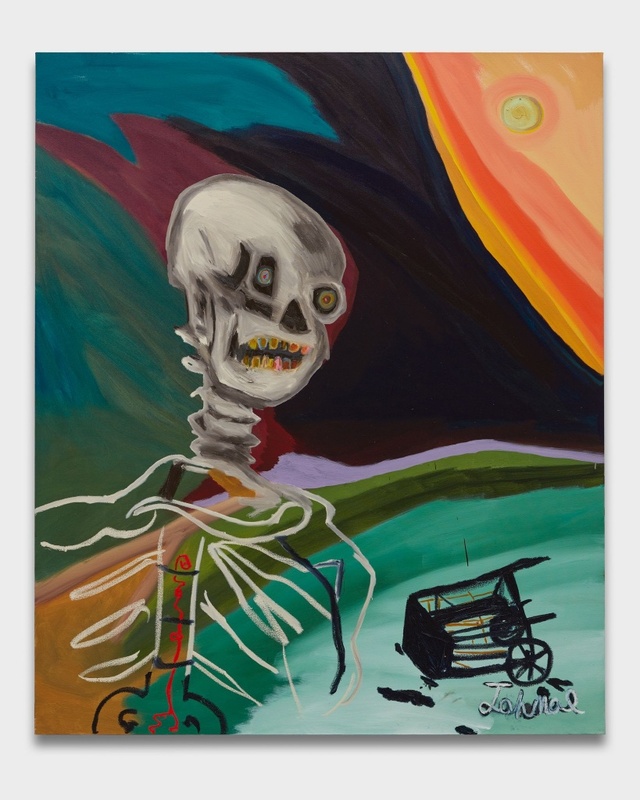 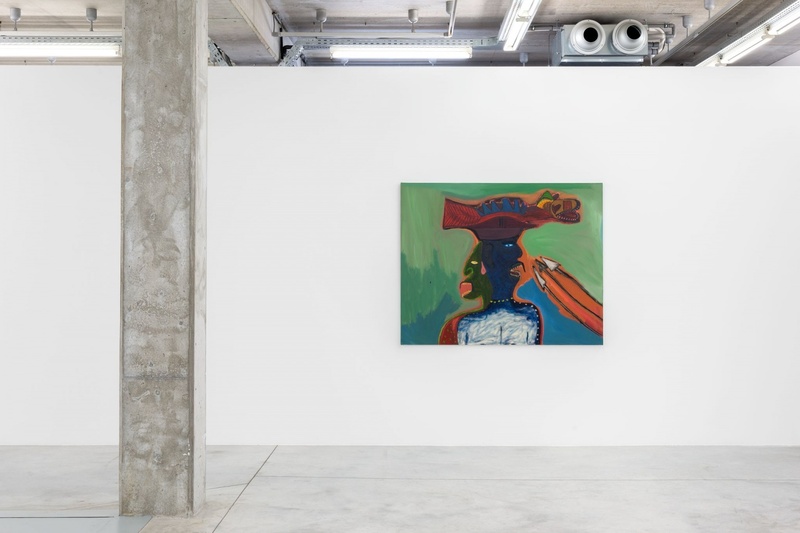 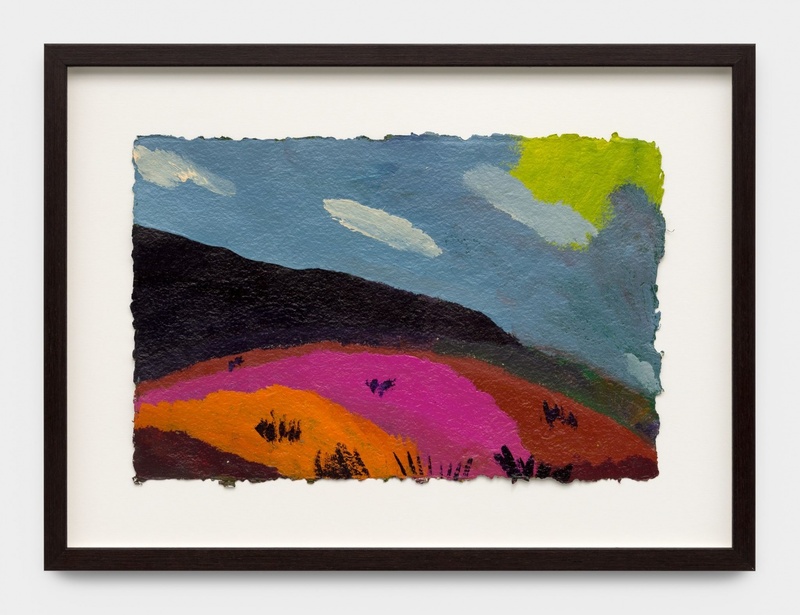 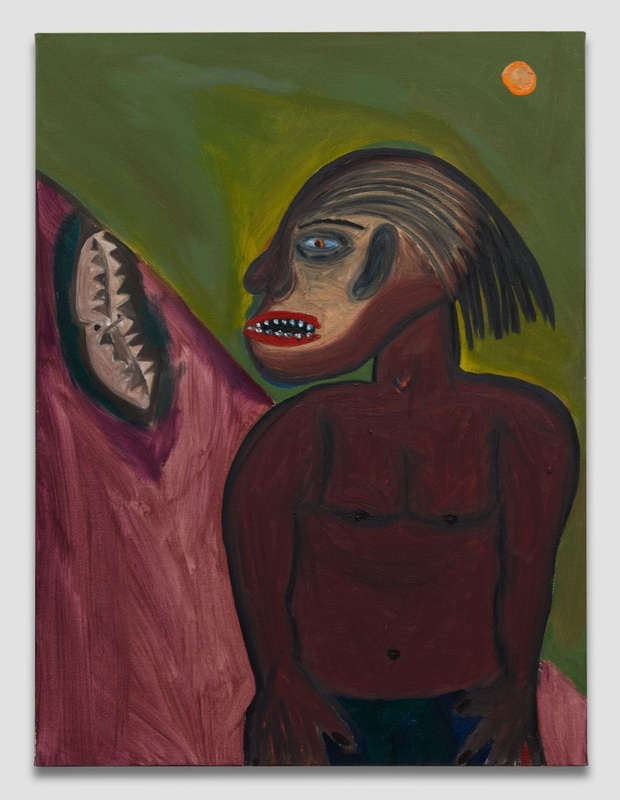 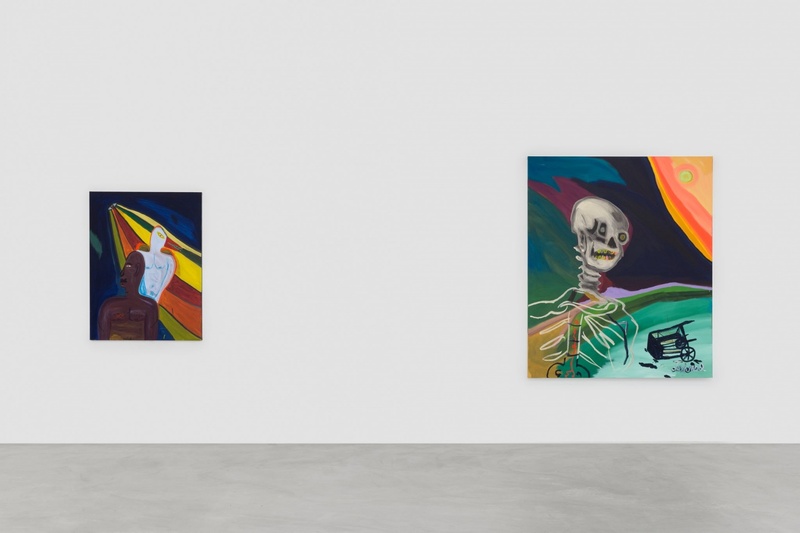 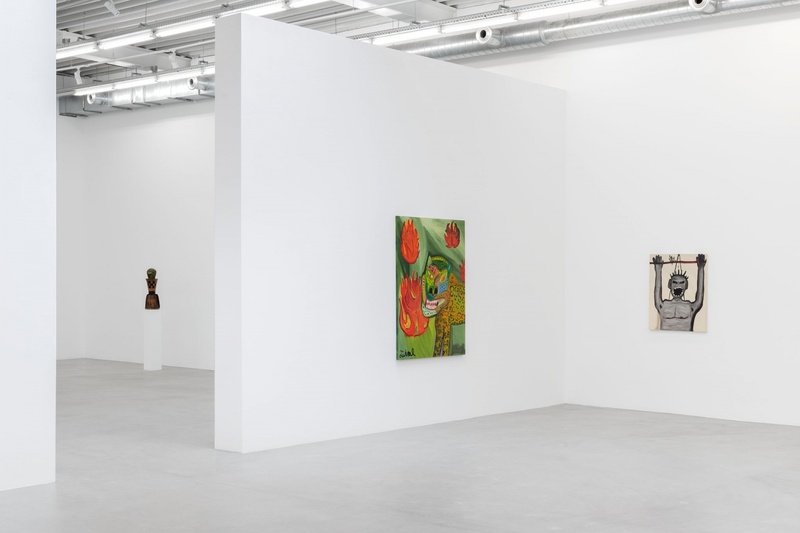 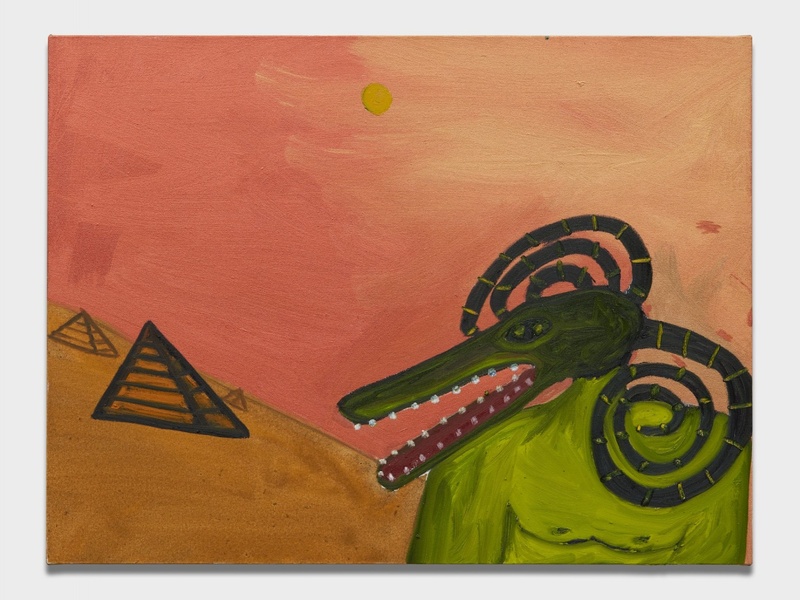 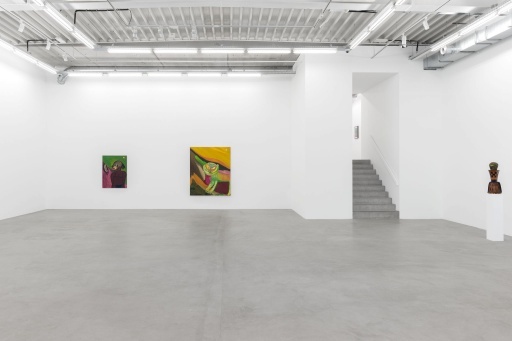 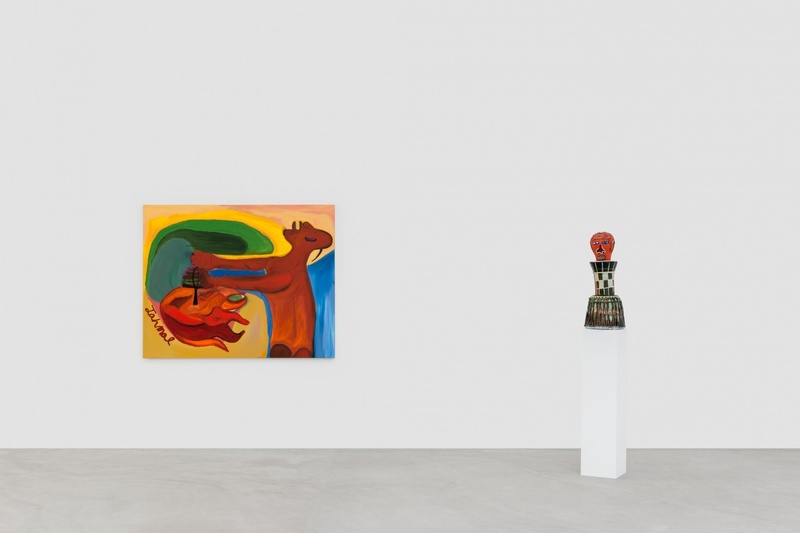 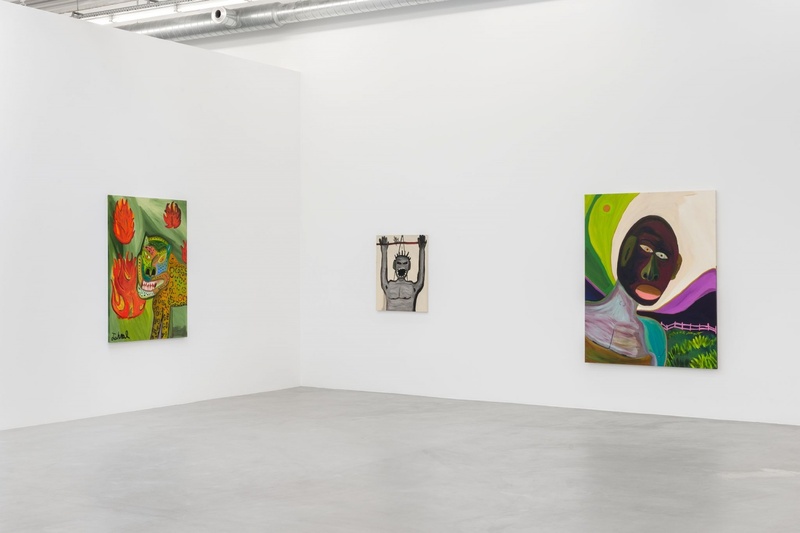 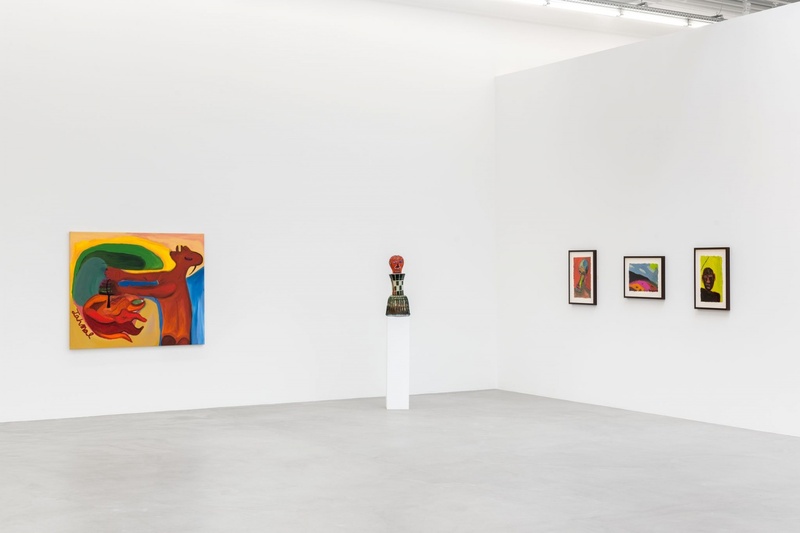 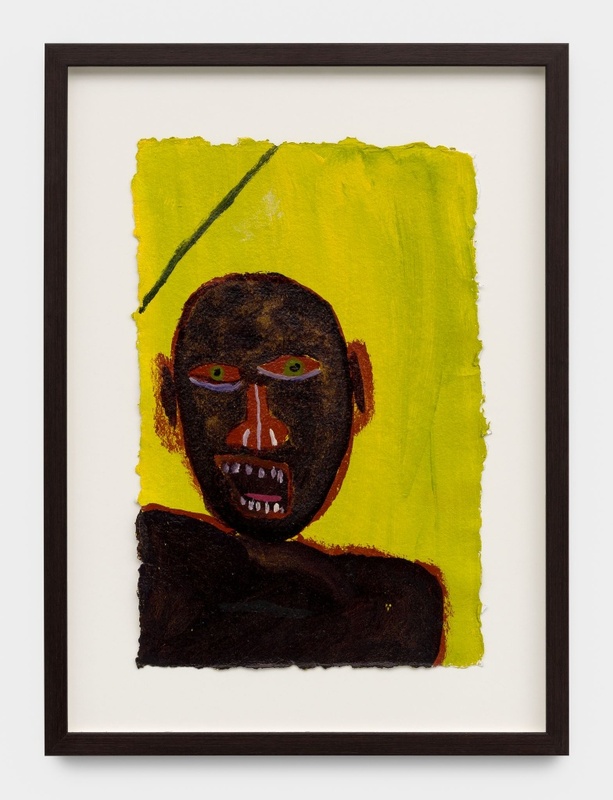 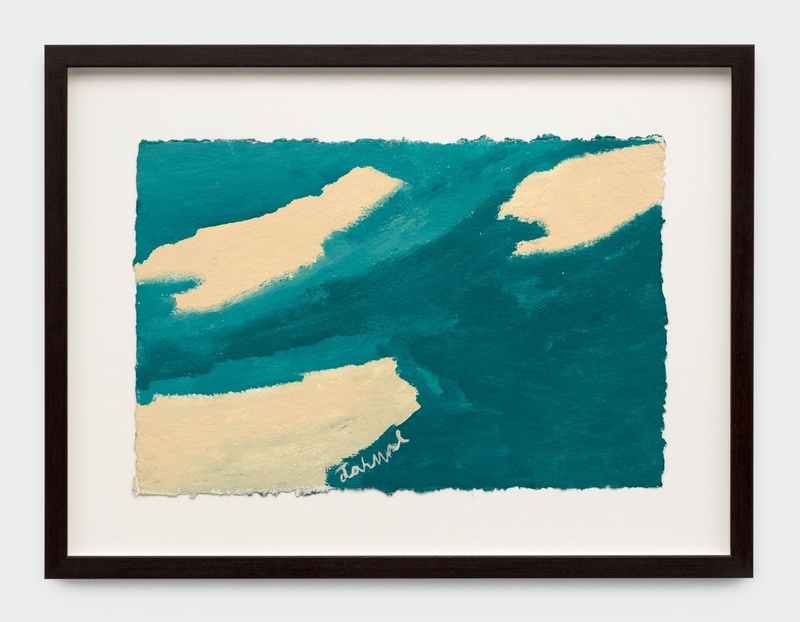 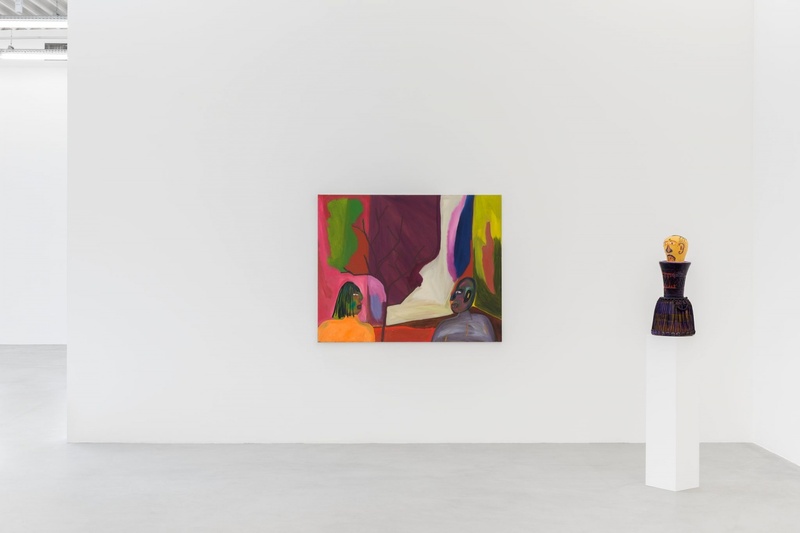 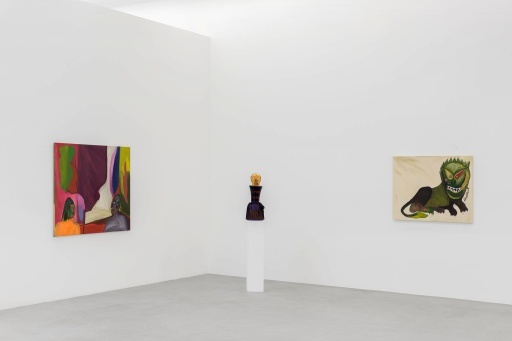 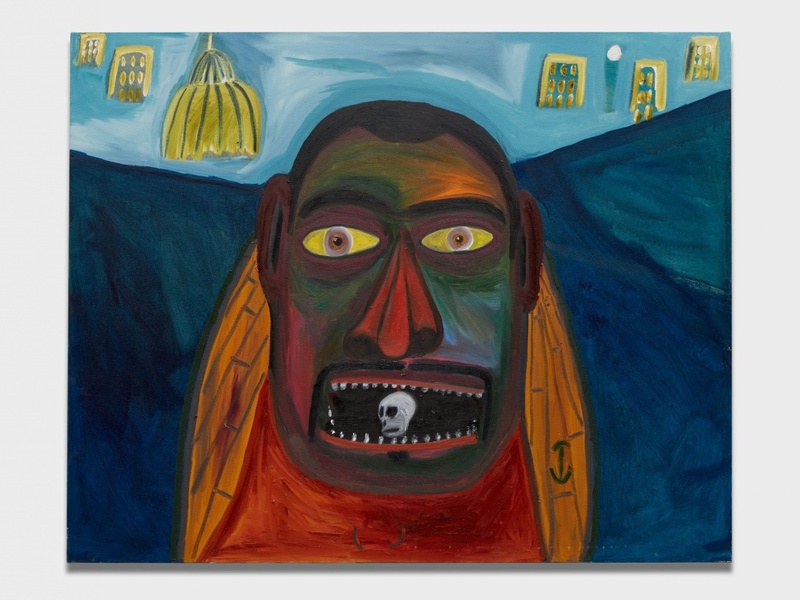 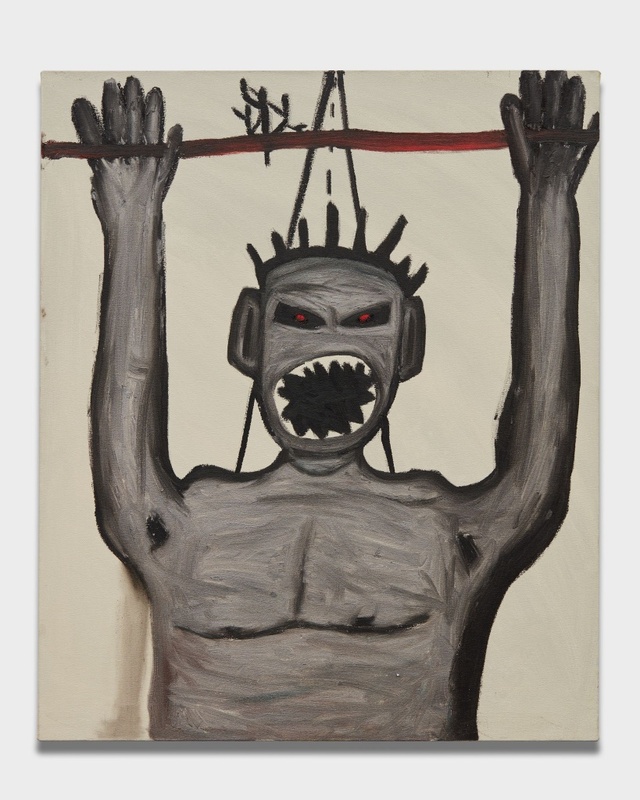 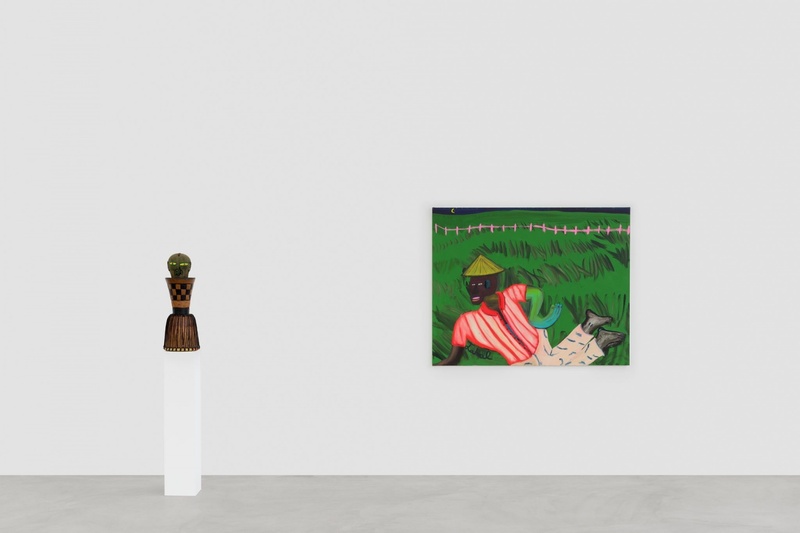 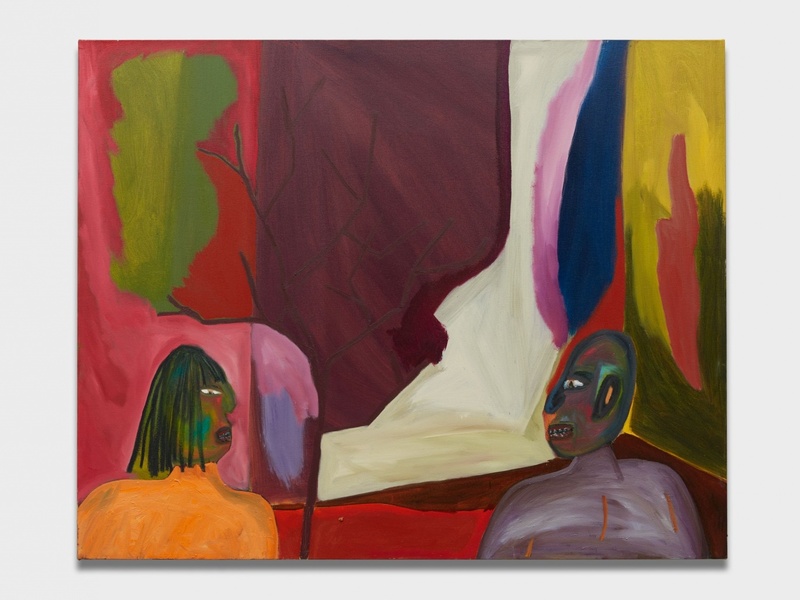 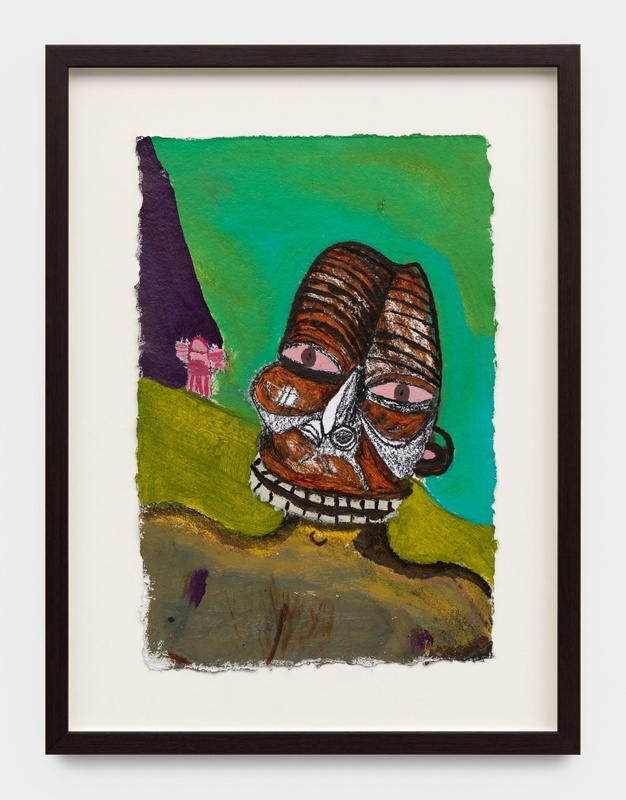 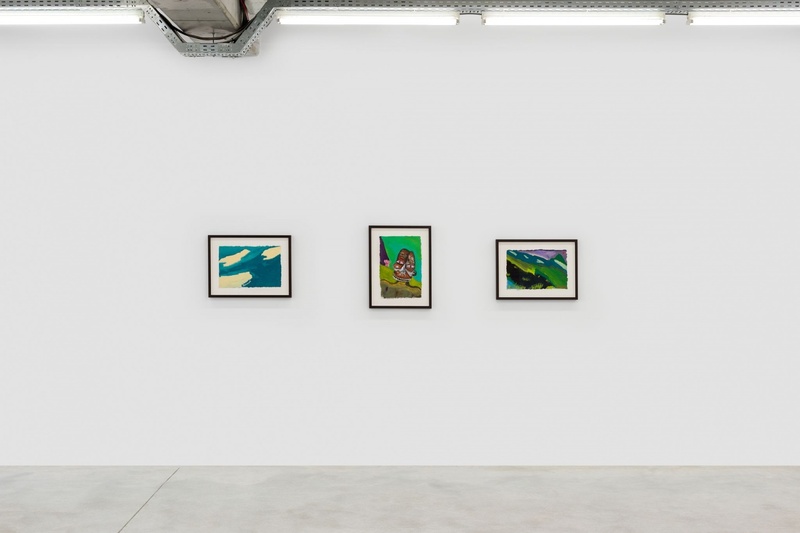 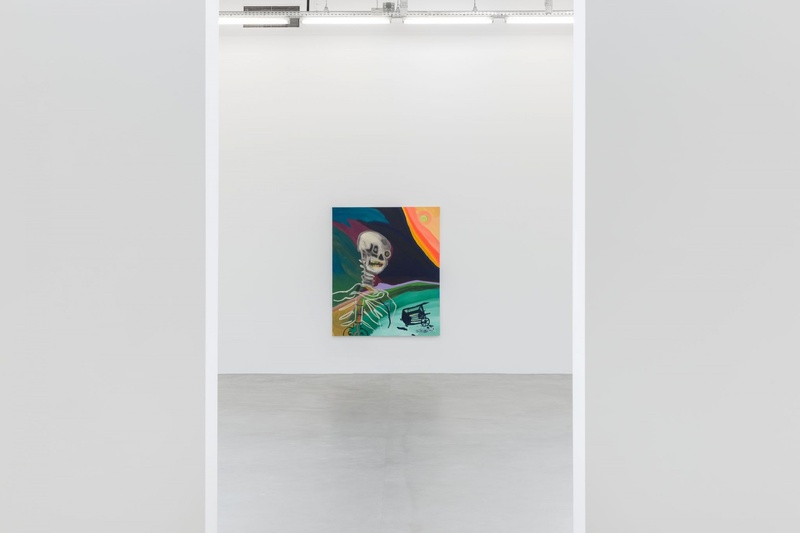 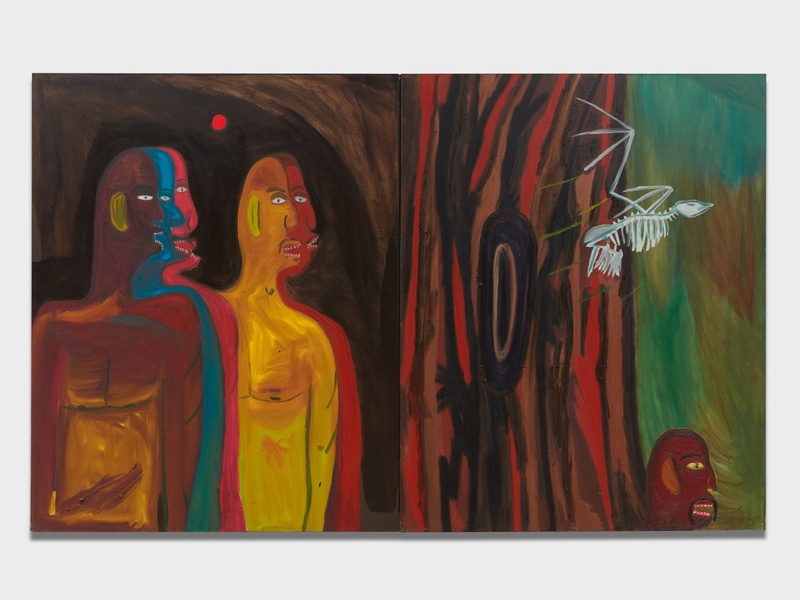 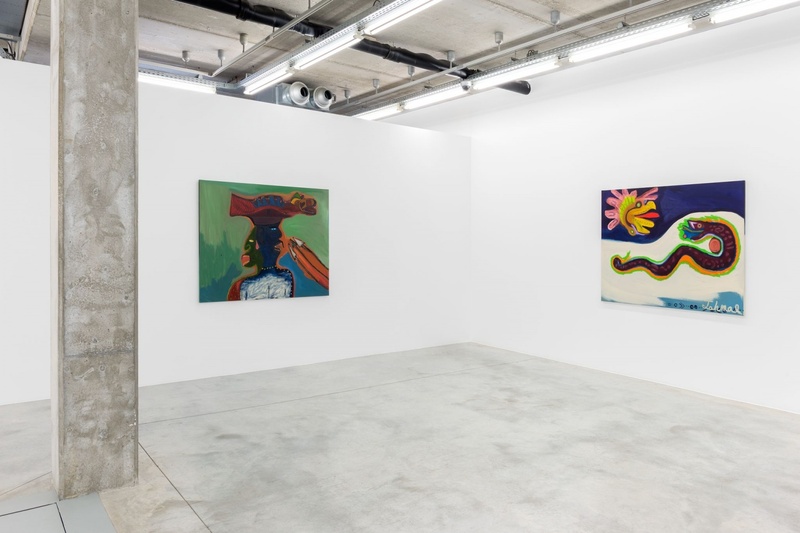 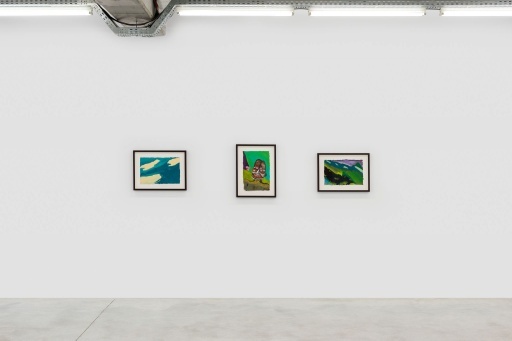 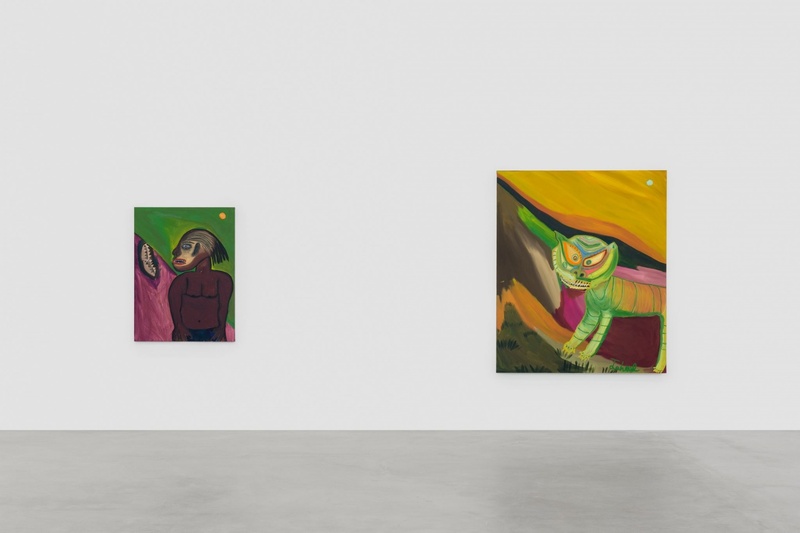 The paintings exhibited at Almine Rech Gallery Brussels belong to his latest series. 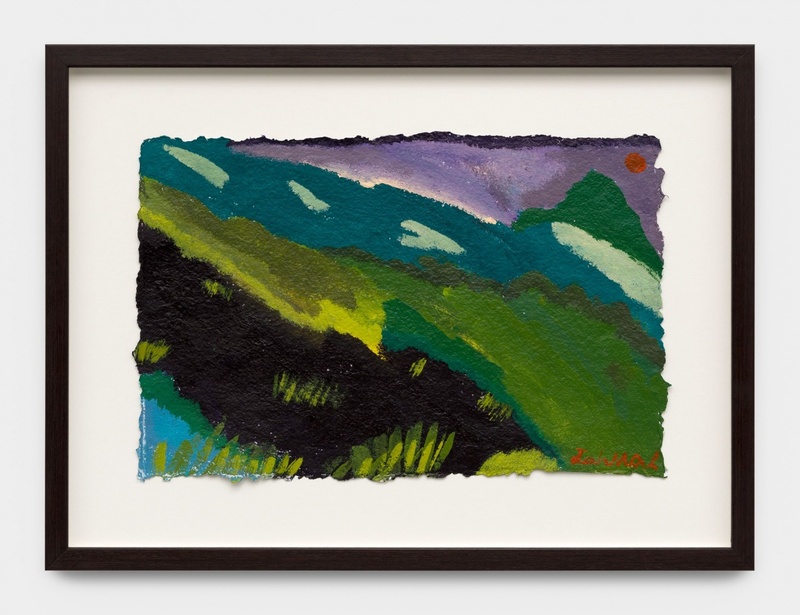 Interior spaces have made way for dreamscapes where jungle, savannah and desert mesh together. 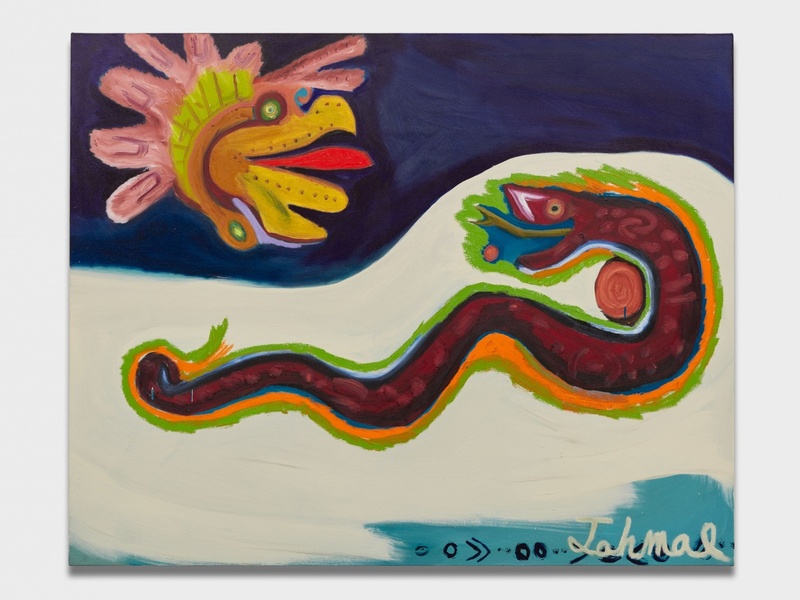 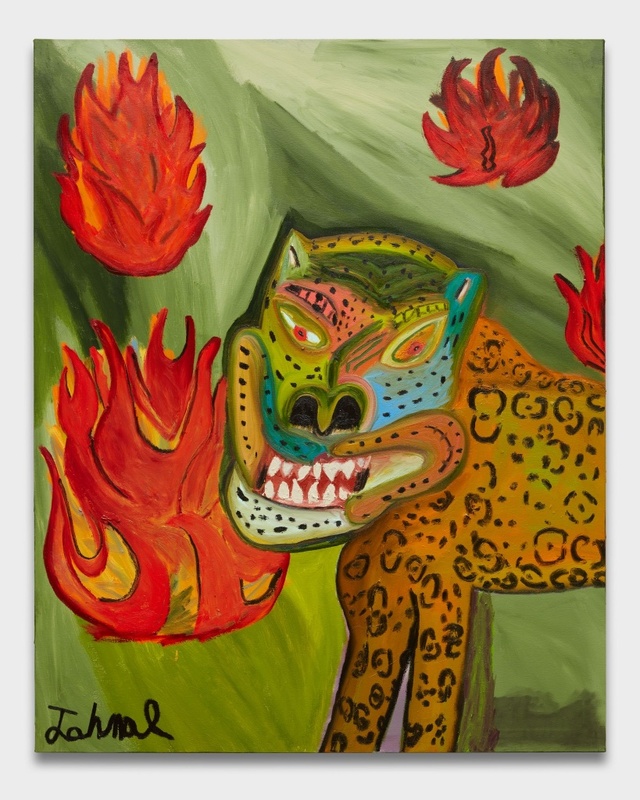 Planes of violently and flamboyantly contrasting colour constitute a dry, abstract background from which characters, masks, shamans, and wild animals burst forth. 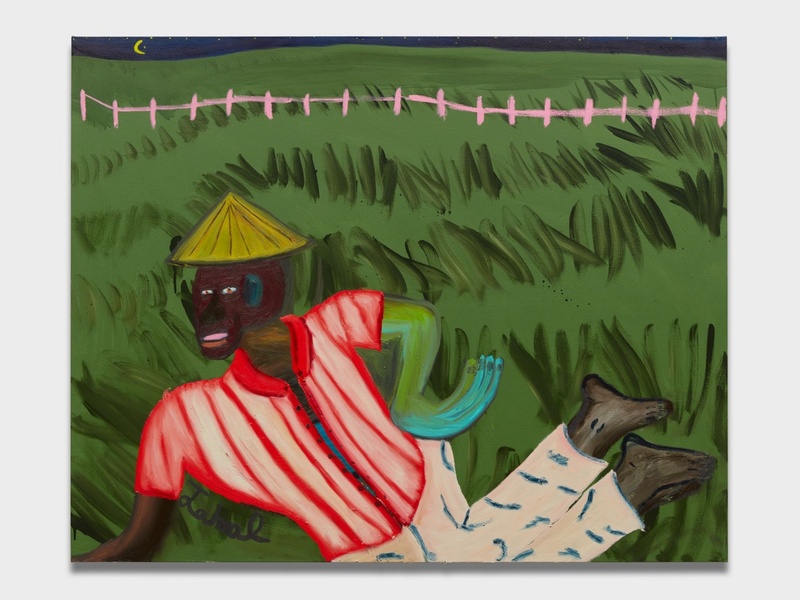 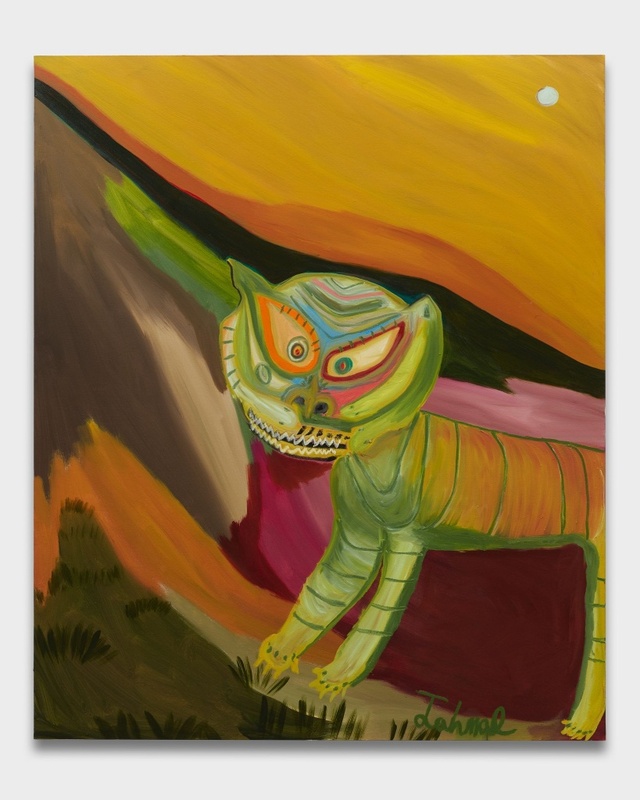 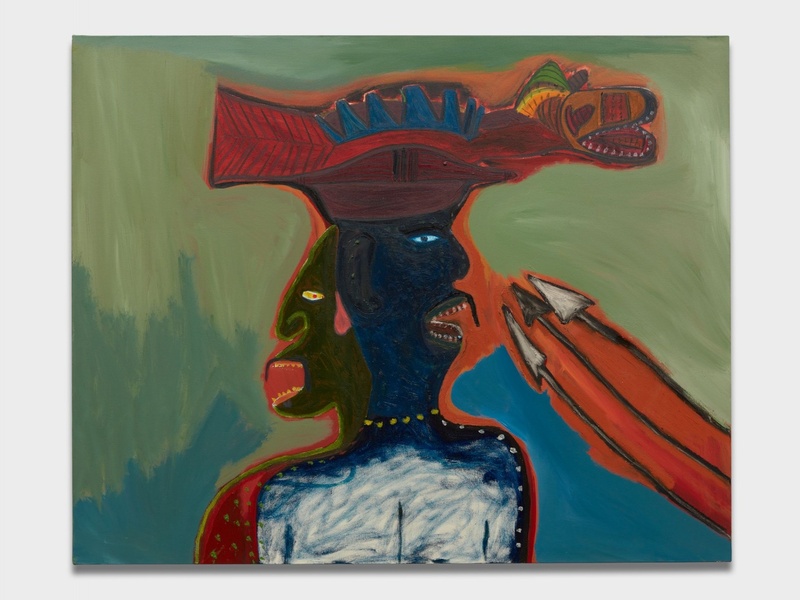 Like his Fauvist, Cubist, and Expressionist predecessors, Jahmal takes inspiration from Africa and beyond: tigers and paddy fields glance to Asia while skeletons hint at Mexican culture, resulting in an incantatory and archaic impression. 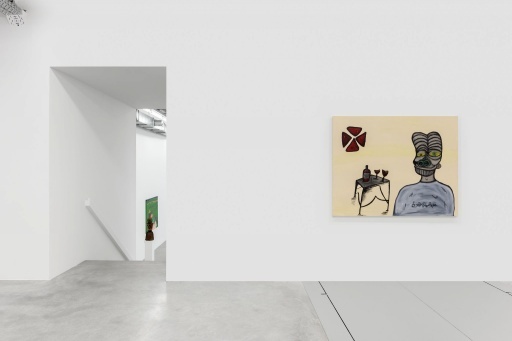 Here, the figures dominate their surrounding environment: while oscillating between submission and threat, human and animal, they haunt the pictorial plane. 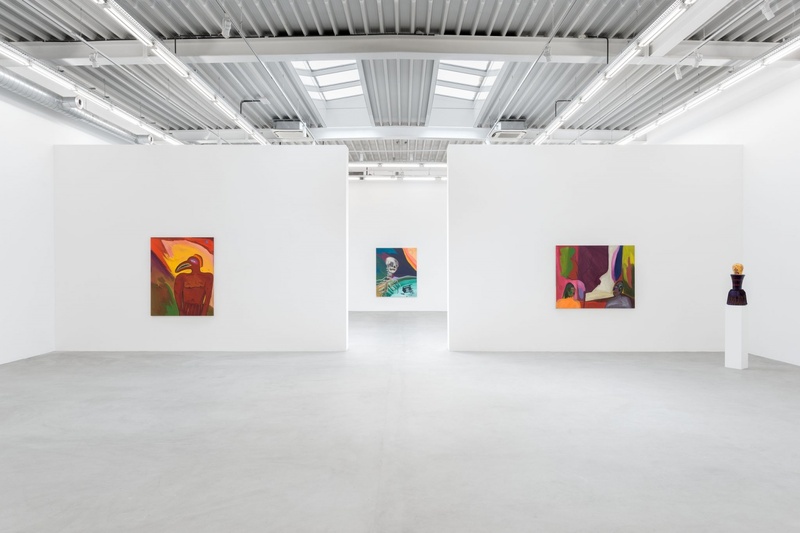 Their stance evokes not only physical control but also suggests their capacity to access immaterial forces, be they creative or destructive: constituting perhaps a polymorphic portrait of the artist himself.